Make Money Online Reviews Will Group Traffic Profits Help You Generate Traffic and Sales? 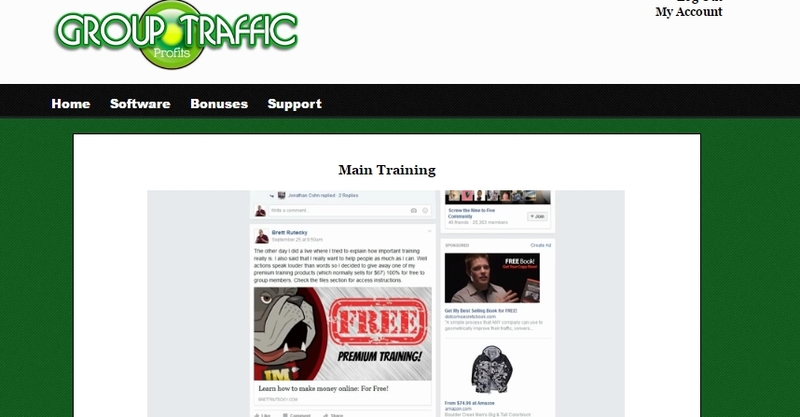 Will Group Traffic Profits Help You Generate Traffic and Sales? Rating: 4 A solid course that's reasonably priced. The Good: GTP offers good training and features lots of real-world examples. The course has a decent sign-up price of just $27. The program software is easy to use. You get additional program bonuses, including three plugins. You can email a Zendesk account for help with program issues. The Bad: The training could be beefed up some more. Some of the Facebook directions are outdated. 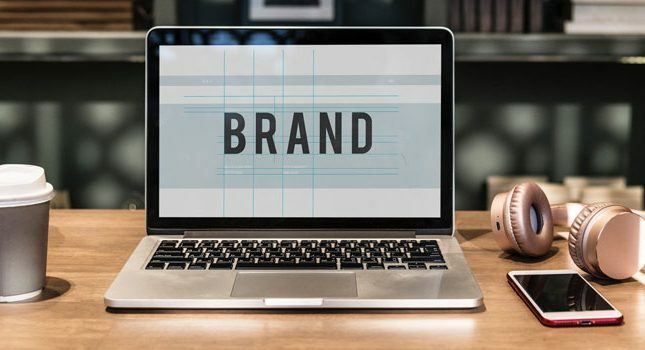 The Bottom Line: If you are interested in Facebook group marketing and/or growing your audience by using this social media channel, GTP is going to be useful for you. Everyone from affiliate marketers to bloggers to writers/artists/musicians struggles with growing their traffic to their products, blogs and websites. Why? Because there is a causal relationship between traffic and conversions (e.g., sales). So, without traffic, there isn’t much of an ROI on one’s efforts. Facebook groups are free to set up and operate. You can tailor a Facebook Group to almost any possible niche or product. You don’t need to have a website, email list or even your own product to profit with Facebook groups. Many marketers already use Facebook and other social media groups to grow their audiences. Others use Facebook groups as a selling alternative to eBay or Craigslist. 1. Video training– You learn how to properly set up a Facebook group, grow your group’s membership, and perform effective marketing to your group. 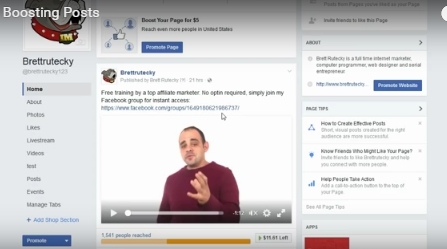 The training features a real-world example of how Brett generated $665 from just one Facebook post. 2. Image Maker Pro Software– Using this software, you can easily create professional-grade images for your Facebook group posts. You also get lots of image, clip and template files. 3. FB Link Post 2.0 Plugin– This plugin enables you to generate a single, clickable image file for your Facebook group posts. You also get analytics information on how well your posts are doing. The offer that Group Traffic Profits presented sounded intriguing, so I decided to purchase GTP at its discounted price (for the next 13 hours only!) of $27. What did I find? As soon as my purchase went through, Mike from Maine was on my laptop screen, talking to me about…an upsell! For another $67, I could purchase a live coaching program and bonus software pack called Profit Canvas. I would get additional support and training with it, plus image files for my Image Maker Pro software. When I declined this offer, I had Brett pop up on my computer screen and talk to me about selling GTP itself as an affiliate product. In order for me to sell GTP, I would need a unique digital copy of this product- and more specifically, I would need to pay $97 for that unique copy. 1. Why Facebook Groups (6:55)– Why use Facebook groups? First of all, over a billion individuals are on Facebook. Facebook groups are free. Group members interact with one another, which doesn’t occur through email marketing or ads. Finally, you earn member trust when people get to know you through your group. 2. 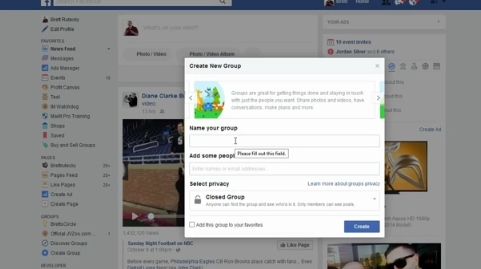 Creating a Group (10:43)– Brett goes through the step-by-step process of setting up your Facebook group. Group creation strategy is discussed, such as why you’d want to create a closed group and not a public group. 3. 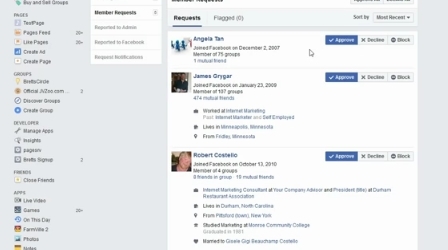 First Post/Files Section (4:35)– Once you have your Facebook group, Brett goes through some posting strategies, such as having an intro post pinned to the top. He also uses his personal Facebook group as an example of which one rule group members should post by. The strategy of increasing group membership through a freebie is mentioned. 4. Manually Adding Members (1:52)– In this short video, Brett advises you to not just add people to your group because you know them. Ask their permission first, or create an incentive (like a freebie) to make them want to join. By incentivizing the joining of your group with a freebie (like an e-book), you stand a better chance of getting people to join your group. 6. Boosting Posts (3:52)– Another way to advertise on Facebook is through boosted posts. One ad scenario that Brett presents you with is creating a video where you ask people to join your Facebook group in exchange for a freebie. The boosted post can also be “retrofitted” with a clickable link to your closed group. 8. Backend Bonuses (3:42)– Once you start growing your group’s membership, you can use product bonuses as an incentive to encourage third party affiliate marketers to promote you (and your group) to their customers. In these cases, you can ask people to provide their email address when they sign up for your backend bonus- or you can just keep on providing a link to your Facebook group’s bridge page. 9. Approving Members and Posts (4:04)– Brett shows how to quickly run a “background check” for people who wish to join your group. He also explains why you should or shouldn’t approve posts from your members (hint: this goes back to the rule introduced in video 3). 10. Making Posts to Your Group (6:46)– Brett presents some basic ideas about posting Facebook posts to your group, including using the 80/20 rule for informational vs. marketing posts. 11. Giving Away Free Stuff (5:54)– This video explains why you should use the occasional freebie to grow your group membership and increase Facebook affinity, which is defined as Facebook increasingly showcasing your future posts as your current members interact more often with your group. 12. Image Maker Pro + FB Link Post (6:24)– Brett demonstrates the process he uses with Image Maker Pro and FB Link Post when creating an image-containing post that links to his group. 13. Demo Actual Promo (4:46)– Brett shows you how he sets up one of his own promos, which comes complete with its own limited time warning. 14. Closing (1:38)– Brett provides an informal video where he warns you that your results will depend on how much effort you put into the program and into marketing. After listening to his 13 videos, you finally get to see the man behind the microphone. I didn’t find it too difficult to download the image creation software and use it to generate a rudimentary image. I did wish the software came with a few more features, however, like the ability to change shapes. The software did provide me with numerous Clipart and Pixabay images. This software came in a zip file that had to be extracted first. Once it was extracted, I gained access to its link creation and linking functions, as well as to some additional images of call-to-action buttons, etc. Professional quality training videos. Brett took the time to pack his videos with lots of useful info and few (if any), stutters, “ums” or awkward silences. These videos had something new to teach to both the beginner and experienced marketer. Intuitive software. The Image Maker Pro software features an intuitive design that enables you to create image files almost from the very start. Few promos. 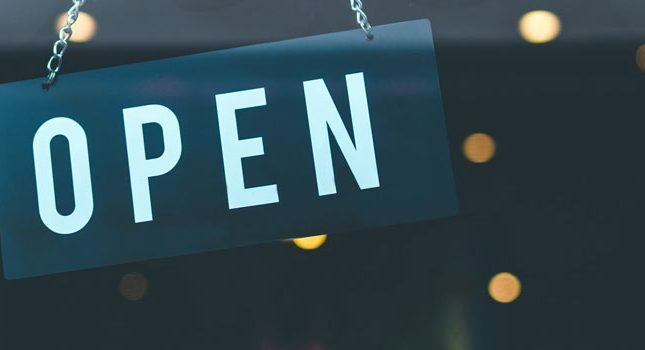 There are two upsells presented to you at sign-up, but otherwise the training is free of upsells, cross-sells and other marketing gimmicks. Examples grounded in reality. You see real-world examples of Facebook groups, posts, campaigns, and image-containing posts. Cross-niche relevance- The subject matter covered in GTP can be applied to affiliate marketing, personal product promotion, website launches, and even non-marketing topics such as promoting your band, book, artwork, etc. More training, please. I liked Brett’s crisp and concise teaching style in GTP, and I could see him providing additional examples and/or advice on creating and growing FB groups. For example, I’d like to see him address the basic issues inherent with Facebook groups, such as the fact that your group actually belongs to Facebook, not to you. Also, groups are well-known to collect spam posts. There are other issues too, as noted in this article. The software could use a 2.0 version. I found both Image Maker Pro and FB Link Post simple and easy to use, but I also wished that the software had additional features like shape conversion, additional colors/shades, etc. Overall, I found GTP to be a solid program full of good advice and useful software. For someone who is looking for an alternative or additional method for growing their audience, GTP is a good program to try.